2. 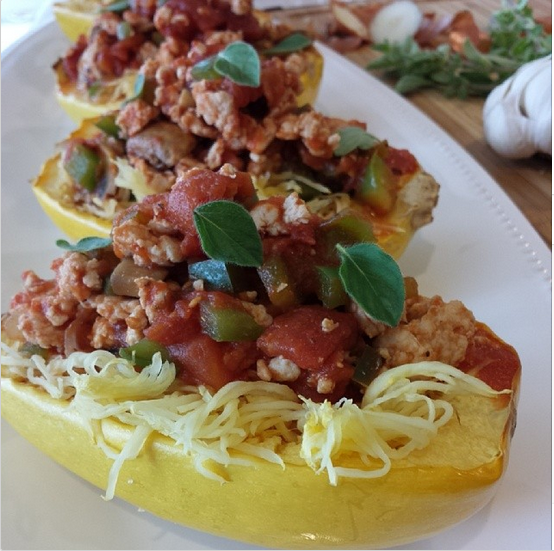 Take 2 small spaghetti squash, cut lengthwise, scoop seeds (remove) arrange the 4 squash pieces cut side down on baking sheet. Rub skins very lightly with olive oil. 10. Heat until bubbly. Simple sauce is ready! 11. Using a fork, loosen spaghetti squash noodles. Take 2 small spaghetti squash, cut lengthwise, scoop seeds (remove) arrange the 4 squash pieces cut side down on baking sheet. Rub skins very lightly with olive oil. Heat until bubbly. Simple sauce is ready! Using a fork, loosen spaghetti squash noodles. 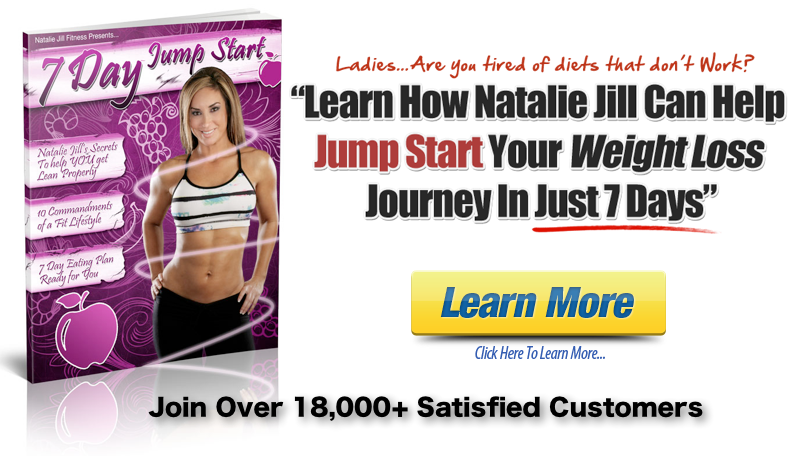 Did you know I lost over 30 lbs by following Natalie Jill’s Fitness Programs? If it wasn’t for THIS program I would probably never been inspired to create Clean Food Crush. It’s the perfect starting point for a clean lifestyle.